Jon Vos attended Northwestern University to earn his physical therapy degree. 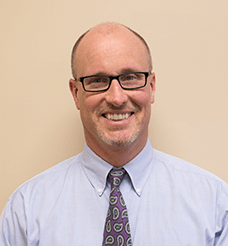 He is certified in the McKenzie diagnosis and treatment of the spine and specializes in TMJ, back and neck. Jon has been a licensed Physical Therapist for 24 years. Outside of work, he enjoys spending time with his family, golf and hospitality.